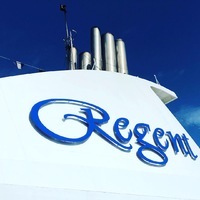 We chose this cruise to give Regent a try. 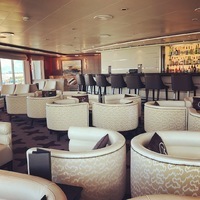 We do about 4-6 cruises a year on premium and luxury lines (Seabourn, SilverSea, Celebrity, Azamara, Paul Gauguin, etc.). We have been watching for a Regent cruise to depart from our local ports in FL and this one popped in and worked with our schedule. Boarding the ship at Terminal J in Miami was easy as usual. Boarding the ship was like the rest, champagne and a warm welcome. Suites were ready right away. The public areas on the ship are nicely appointed with a modern update on the aging ship (completed 2003). You can clearly see where the original features exist and where it has been updated in 2016 in its last refurbishment. For example, old marble, brass railings, heavy hard to open sliding veranda doors, plywood painted cabinets in the bathrooms compared to the modern furniture, carpets, linens and serving items. Soft renovation versus a hard one. 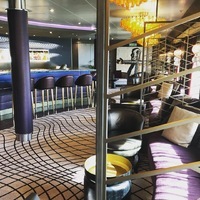 Walking through the main areas upon entering the ship gave me hope that the ship had a nice modern style throughout, but entering the corridors and staterooms quickly changed that vision. 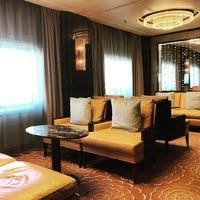 The staterooms felt like stepping back in time to an old French hotel. The carpet we peeling away from the walls, separating at seams and sofa had stains. The bathroom had the original fixtures which were clean, but the cabinets were simply painted plywood, would close and looked very cheap. The wood in the stateroom was high gloss look and has permanent fingerprints all over. I tried to wipe them off. The size and layout is common and decent for a long cruise. The only frustration with layout was the lack of storage in the room. Aside from the walk-in closet with about 6 drawers there is no other usable storage in the stateroom. Under the sink was filled with extra supplies. The desk area is a fridge on one side and glasses and various other items on the other. You have two small tables on either bedside, but the drawers are too small to be practically used. 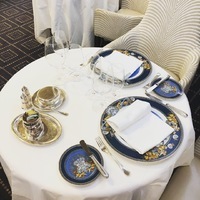 Restaurants were all decent food wise, but not as good as SilverSea or Seabourn. Steaks are all pre-cooked and just re-fired for warmth and sometimes barely warm. Sides and desserts were better than the main courses I tried. Wine and other beverage selections were quite good. The buffet areas at La Veranda and the Pool Grill are very narrow and get quite crowded. The salad area and cold fixings area food were warm, never kept cold and crisp. Other food in both areas were great. Bars were a lot of fun and most times get good crowds for socializing. Music options are all venues were quite good. Entertainment casts were good, but not like you&apos;d find on a big ship. To me that isn&apos;t a bad thing per se. Large ships have bigger budgets and venues were smaller ships often have good talent who work within the smaller venues and theaters. No complaints on entertainment, just observational comparison. At the end of the day it was the amazing crew and passengers that made the cruise for us. Crew was very friendly, service attentive and professional. Passengers were a good mix of ages from 40&apos;s on up to still living and most were quite social. 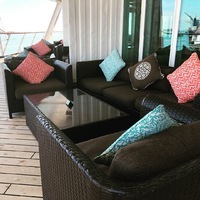 Ports of call and excursions were good for the places we visited and no complaints there. I would do Regent again, but I would prefer not to go back to Voyager unless the itinerary is unique and bucket list worthy. We did hear multiple staff say that since NCL bought Regent the focus has been primarily on money and not passenger experience. 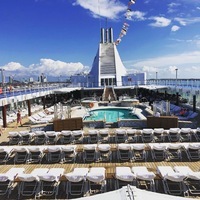 Miami based cruises get a lot of corporate guests from NCL and crew feel the pressure. Some worry that the few years under NCL has made a dent in Regent&apos;s luxury offerings and worry it won&apos;t make them better in the long run. 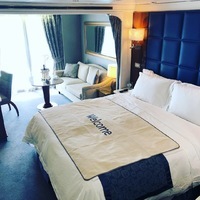 The staterooms felt like stepping back in time to an old French hotel. The carpet we peeling away from the walls, separating at seams and sofa had stains. The bathroom had the original fixtures which were clean, but the cabinets were simply painted plywood, would close and looked very cheap. The wood in the stateroom was high gloss look and has permanent fingerprints all over. I tried to wipe them off. The size and layout is common and decent for a long cruise. The only frustration with layout was the lack of storage in the room. Aside from the walk-in closet with about 6 drawers there is no other usable storage in the stateroom. Under the sink was filled with extra supplies. The desk area is a fridge on one side and glasses and various other items on the other. You have two small tables on either bedside, but the drawers are too small to be practically used. ATVs were great! It wasn&apos;t just trail, it was a bumpy trail with lots of water and mud. Staff on that excursion were a lot of fun, kept advanced riders separate from beginners so nobody felt pressure to go at a certain speed. Had a beach stop for about an hour, but you can also take a free taxi back to the ship at any time. ATV&s were fun and again they separate the advanced and beginner riders. The trail was fun and time was adequate. After the ATVs they drop you at Playa Mia Beach Club which is by the Mayan Cacao store, if you&apos;ve been there before. Cozumel is always great in my book. It is a pretty island, but not one you can do more than 2-3 times if you want to do something new each time. Beaches are great and so are the few excursions offered. We had just been last month so we did some shopping and 7 Mile Beach. The NCL island is incredible and worth a visit on its own. Google it. Pool, beach, zip line, kayaks, snorkeling, food, shopping and it is all new! The places is awesome. We also did an excursion to some ruins and a spice farm. The Belize Spice Farm is worth a visit on its own. We did our own thing here since we had just been here last month. Easy town to walk around. Lots of bars, food options and shopping. You also have quite a few excursion options should you choose to do one. The park was awesome. Macaws flying freely all over. Monkeys who were friendly and well behaved. The park itself is a good mix of foliage, wildlife and local history. A good deal of walking, but not rough or tough. The park is located on the beach so they allow you some beach time at the end of the tour.